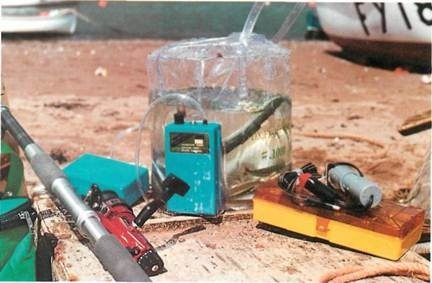 There are many situations when a live-bait will catch fish that won’t look at other baits. The trouble is that you have to catch your bait before you can go after big fish. In many ways it’s easier to buy frozen sandeel, worms or artificials from a shop and get on with it. There’s no doubt, however, that livebaiting can be a superb method of catching a number of sea species if you’re prepared to put in the effort. Sandeels will bury themselves in the bottom given half a chance. Fishing them on the drift prevents this, but if you are legering static sandeel you need to move it every few minutes to make sure it hasn’t disappeared from sight. Fish for larger flatties such as this brill with a long flowing trace dragging a fairly heavy lead along the bottom. Inquisitive flatties are drawn to the little puffs of sand ploughed up by the heavy lead. Night livebaiting from a harbour wall. Areas under lights attract small fish -making catching baits easier and attracting big predators such as bass.Successful livebaiting depends on the liveliness of your bait. Keep them in a courge lowered into the sea or in some other aerated eel carrier such as the one above. This bass took a live mackerel with relish. Bass anglers using live mackerel are now taking big fish from deep water marks which rarely produce a bass to other methods. While many different species make good livebaits, sandeel and mackerel are the favourites. You can buy live sandeel over the counter at some coastal tackle shops, or gather your own . Poor cod, pouting, whiting and dabs are less popular but well worth a try. Target species Most species of sea fish make short work of a livebait but the most obvious targets for anglers are sharks, bass, cod, pollack, turbot, brill and big plaice. Hooking Once you have a supply of baits, there are a number of presentation possibilities – lip-hooking, hooking through the tail and so on. The key is to aim for the most nat-Liral movement underwater and to avoid over-impaling and killing the fish. Livebaits are only effective while lively. This virtually rules out casting them or using fish with swim bladders in deep water. A livebait hauled in from deep water and rehooked will be in poor condition. Two-hook rig There is a way for boat and beach anglers to get around this problem. Simply tie a small hook (a size 4 or a 2) to the shank of a big hook (5/0-8/0). You only need to bait the small hook (with mackerel strip, sandeel, lug) and cast out from the beach or lower it down from a boat. Sooner or later a small fish hooks itself on the little hook and then you’re effectively fishing with a livebait, waiting for a bigger fish to come along and engulf the small fish – and hook itself on the big hook. On the drift Livebaits do not last long in strong tides — especially fish which have been caught, re-hooked and lowered down to the bottom. Fishing on the drift reduces the problem while enhancing the bait’s presentation, and it covers a lot of ground. 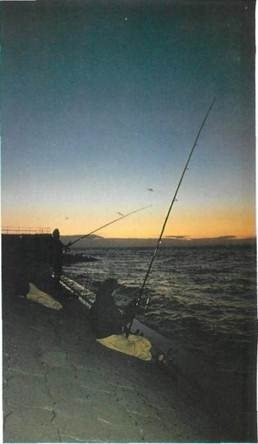 Livebaiting on the drift with long traces you may pick up cod and pollack. 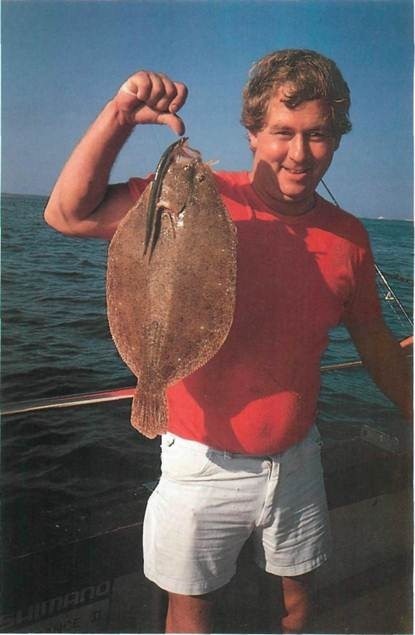 Turbot, brill and big plaice fall readily to live sandeels drifted over sandbanks. For the shore angler livebaits are ideal for close-range fishing and fishing around obstructions. Float fishing for pollack with sandeels or other small fish can be very effective from rock marks. Piers and harbour walls can be good spots in daylight but are often far more productive after dark when the hustle and bustle of the day has subsided. Pouting, whiting and poor cod make superb livebaits in these situations. When there is little or no tide you can freeline them. Otherwise float fish them or fish them with just enough lead to keep them down in the water. Pier anglers fishing livebaits on the bottom often score close to the pier. 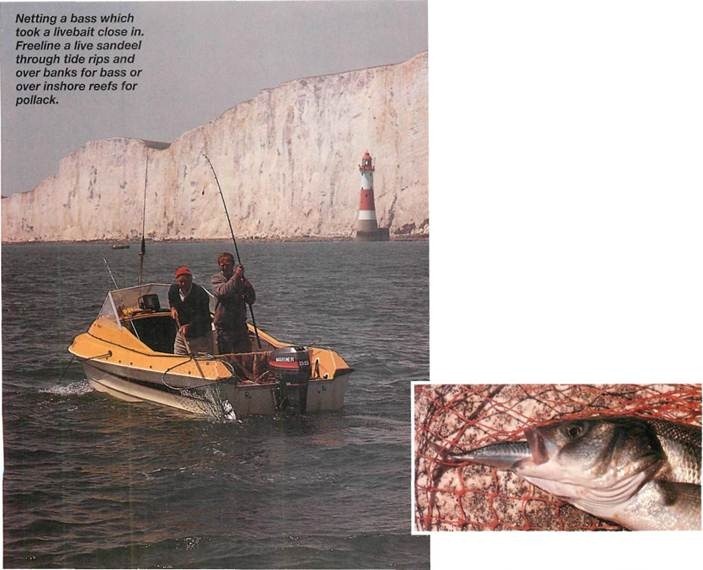 Bass are the usual targets, although conger often find a live pouting irresistible. Short traces are best to keep baits clear of obstructions, with strong hooks and heavy line to bully hooked fish quickly out of the water.